New research into the preventive benefits of vitamin D has raised hopes that the sunshine vitamin, which is produced naturally in the body through exposure to the sun's ultraviolet rays, could extend and improve people's lives. Imagine incorporating an inexpensive, single supplement into your life that forces you to get a little sunshine and promises to strengthen your bones, thwart different forms of cancer, stave off multiple sclerosis and autoimmune disorders and fight infections. 400 to 1,000 IU for adults under age 50 without osteoporosis or conditions affecting vitamin D absorption. 800 to 2,000 IU for adults over 50. The Canadian Cancer Society recommends Canadians take in 1,000 IU — 25 micrograms — of vitamin D every day. During the spring and summer, that can be accomplished through normal daily exposure to the sun. In the fall and winter months, a vitamin D supplement may be necessary. Health Canada's guidelines remain at 400 IU — 10 micrograms. Health Canada advises people to take a daily vitamin D supplement, as following the revised Canada Food Guide would only provide 200 IU of vitamin D a day. A study released by the Institute of Health concludes that 600 IU of vitamin D meets the needs of almost everyone in the U.S. and Canada, although people 71 and older may require as much as 800 IUs per day because of potential physical and behavioral changes related to aging. The study — commissioned by Health Canada and the American government — says there's still not enough evidence that vitamin D helps protect against cancer, heart disease, autoimmune diseases, and diabetes, but further investigation is warranted. The report notes that the risk of excessive vitamin D consumption —damage to the kidneys and heart — outweighs proven benefits. Recent research into the preventive benefits of vitamin D has raised hopes that the sunshine vitamin, which is produced naturally in the body through exposure to the sun's ultraviolet rays, could extend and improve people's lives. In September 2007, an analysis of 18 randomized controlled trials involving people over the age of 50 found that people who took at least 500 international units (IU) of vitamin D daily had a seven per cent lower risk of death compared with those given a placebo. Lead researcher Dr. Philippe Autier said it was not clear how the supplements lowered risks of mortality, but he suggested that vitamin D may block cancer cell proliferation or improve blood vessel and immune system functions. The study, published in the Archives of Internal Medicine, reviewed research involving 57,311 participants. The findings are part of a growing body of research regarding vitamin D's benefits. In June 2007, the Canadian Cancer Society said that based on current research adults should consider increasing their daily dosage of vitamin D. The society said Canadians should now consume 1,000 IU of vitamin D daily during the fall and winter months, in consultation with a health-care provider. The society noted, however, that more research on appropriate dosage levels is needed and said it would update its recommendations as new studies are released. A study published in the June 2007 issue of the American Journal of Clinical Nutrition found a 60 to 77 per cent decrease in cancer rates in postmenopausal women who took a daily dose of 1,100 IU of vitamin D combined with calcium over women who were given a placebo or calcium alone. The double-blind clinical study, conducted over four years, tested healthy women over the age of 55 living in rural Nebraska. Critics of the study cautioned that a larger study would have yielded more reliable and conclusive results. But Reinhold Vieth, a nutritional scientist at the University of Toronto, said the study is the last piece of evidence for which many in the field have been waiting. Vieth said that many cells in the body use vitamin D to produce a signaling molecule that allows the cells to communicate with each other. How much vitamin D do you need to reach healthy levels if you are deficient? While most researchers are recommending people take in 1,000 IU of vitamin D every day, it's estimated that people with low levels of vitamin D in their blood would need to take in 3,000 IU to raise their levels. Osteoporosis Canada says people who need high doses to reach optimal vitamin D levels can take in up to 2,000 IU without medical supervision, but monitoring may be needed if higher doses are required. It takes about 18 minutes of midday sun exposure for your body to absorb that much vitamin D — or three times the daily recommended dosage in supplements, when sun is not an option. "Those signals do things like helping cells to differentiate to recognize what kind of cell they should be becoming or they can signal cells to stop proliferating and those are good things in terms of cancer, you want differentiation so they become good well-behaved cells and you don't want them to keep replicating all the time," he said. Other researchers have begun studying how the sunshine vitamin affects other forms of cancer. Researchers at the University of California, San Diego, suggested in the March 2007 issue of the American Journal of Preventive Medicine that taking 2,000 IU of vitamin D daily along with 10 to 15 minutes in the sun and a healthy diet could reduce the incidence of colorectal cancer by two-thirds. The same authors found that breast cancer rates were 50 per cent lower in people with high levels of vitamin D in their blood, and suggested that the average person could maintain those levels by taking 2,000 IU of vitamin D daily and spending 10 to 15 minutes in the sun. Tourists soak up the sun while walking along Patong Beach in Phuket, Thailand, in December 2005. Recent studies indicate that vitamin D, which is produced naturally in the body through exposure to the sun's ultraviolet rays, can extend and improve people's lives. ((David Longstreath/Associated Press))Similarly, a December 2006 study in more than seven million people found that white members of the U.S. military who had high blood levels of vitamin D were 62 per cent less likely to develop multiple sclerosis than those with the lowest levels of the vitamin. Researchers noted the findings were still too preliminary to suggest that a lack of vitamin D could trigger the nerve disorder. A study published in the Archives of Internal Medicine on May 28, 2007, suggested that women who consume higher amounts of calcium and vitamin D may have a lower risk of developing breast cancer before menopause. The study followed more than 31,000 women aged 45 and older for 10 years. It found that intake of calcium and vitamin D was moderately associated with a lower risk of breast cancer before — but not after — menopause. 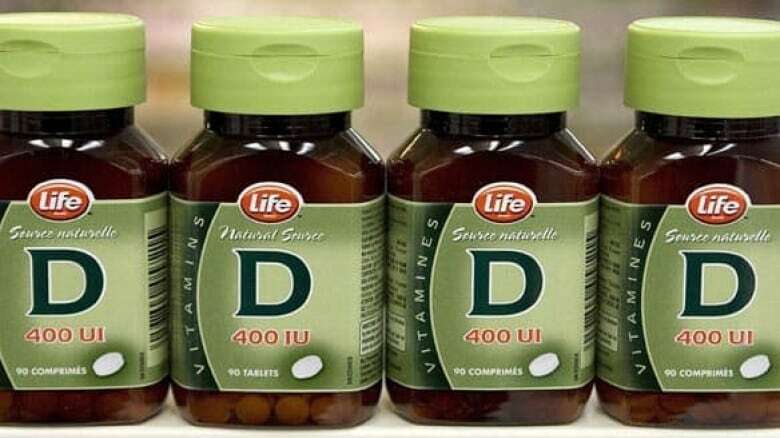 The U.S. Food and Drug Administration says "excessive amounts of vitamin D can be harmful to infants, and may be characterized by nausea and vomiting, loss of appetite, excessive thirst, frequent urination, constipation, abdominal pain, muscle weakness, muscle and joint aches, confusion, and fatigue, as well as more serious consequences such as kidney damage." The FDA recommends no more than 400 IU of vitamin D a day for children. Health Canada says half that is adequate for people under the age of 50. The FDA and Health Canada say 2,000 IU of vitamin D is the "tolerable upper intake level." If you take in much more than that, you could develop some of the symptoms described above. However another study suggested the cancer-fighting properties of vitamin D may be not be universal. The study, published in the Journal of the National Cancer Institute, found that a higher level of vitamin D in men is not associated with a lower risk of developing prostate cancer. And in some cases, it may be linked to a higher risk of developing a more aggressive form of the disease. Meanwhile, a study published in the June 9, 2008, issue of the Archives of Internal Medicine found that men with low levels of vitamin D may have an increased risk of heart attack. The study followed the medical records and blood samples of 454 men who had non-fatal heart attacks or fatal heart disease from January 1993 and January 2004. They compared the data from those men with records and blood samples of 900 living men who had no history of cardiovascular disease. The researchers also recorded diet and lifestyle factors. The researchers found that after adjusting for several factors — including family history of heart trouble, body mass index, alcohol consumption, physical activity and hypertension — men with low levels of vitamin D (less than 15 nanograms per millilitre of blood) had a higher risk for developing heart disease than men with sufficient levels of vitamin D (30 nanograms per millilitre of blood or more). Yet another study that got underway in 2009 was designed to determine whether vitamin D and fish oil can lower a healthy person's risk of getting cancer, heart disease or having a stroke. The $20-million study is sponsored by the U.S. National Cancer Institute along with the National Heart, Lung and Blood Institute and other federal agencies. It will follow 20,000 people for five years to see if either nutrient can lower a healthy person's risk of getting cancer, heart disease or having a stroke. Participants will have no history of heart attacks, stroke or a major cancer. The study group will be limited to women 65 or older and men 60 or older. They will be randomly assigned to take vitamin D, fish oil, both nutrients or dummy pills for five years. One-quarter of the participants will be black. People with dark skin can't make much vitamin D from sunlight. The researchers want to find out if that's part of the reason African Americans have higher rates of cancer, stroke and heart disease.